In the 14th century, the de Cotehele family was one of Cornwall’s most powerful. Ralph and Hilaria de Cotehele, the orphaned children of this dynasty, were the wards of John, Earl of Cornwall, brother of the King, Edward III. In 1353, Hilaria, heiress to her brother’s estates, married William Edgcumbe and brought to the union her land at Cotehele. The Edgcumbes, her new husband William’s family, actually originated from the Devon side of the Tamar, near Tavistock. In the 13th century, the family is recorded as living in the parish of Milton Abbot, where many buildings still bear the Edgcumbe name today. William Edgcumbe’s elder brother John, despite remaining in Milton Abbot, founded a second line of the family in Cornwall, with descendents based at Tregeare, near Launceston. For five centuries, the Edgcumbes were based at Cotehele, near Saltash. Now owned by the National Trust, Cotehele is a Tudor mansion built by Sir Richard Edgcumbe and his son, Sir Piers, during the late 15th and early 16th centuries. Until the end of the 15th century, the Durnford family owned vast amounts of land around Plymouth, Stonehouse and Rame. In 1493, Sir Piers Edgcumbe married the heiress Joan Durnford and created a deer park, marking the site of the new Mount Edgcumbe estate. His son Richard would later instigate work on a fine manor house overlooking the River Tamar. Located near Plymouth, on the Cornwall/Devon border, historically Mount Edgcumbe was interestingly positioned in times of conflict. 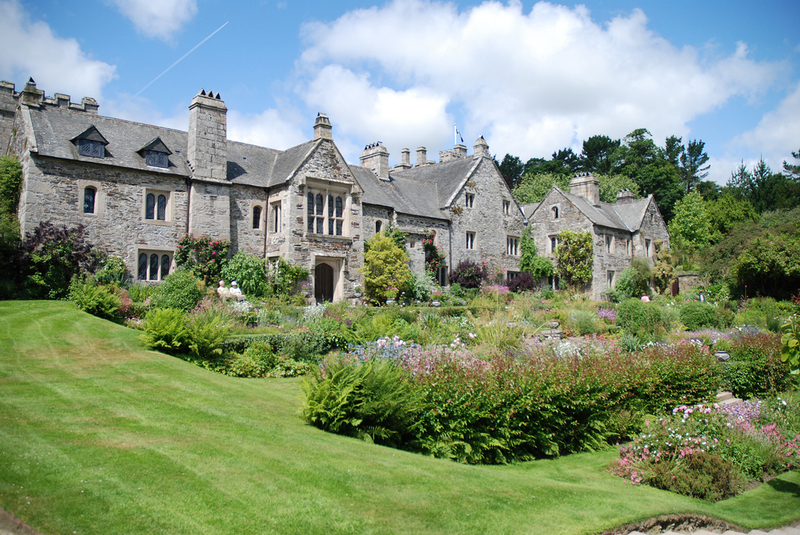 In practical terms, this meant that the house needed to be more extensively fortified than Cotehele. The house, as well as its incumbents, frequently became caught in the crossfire during times of war. One of the most notable characters to feature in the family history is Sir Richard Edgcumbe, father and father-in-law to the previously mentioned Sir Piers Edgcumbe and Joan Durnford. During the Wars of the Roses, Sir Richard fought for the Lancastrians, who were briefly defeated by York and Richard III. Despite this close shave and the appearance of defeat, Sir Richard and the Lancaster claim were able to return to the battle stronger than ever. Taking revenge on his old adversary, Sir Henry Bodrugan (who had played a key role in his persecution), Sir Richard forced him to flee the country and, as the victor, was granted Bodrugan’s lands. When Richard III was defeated at Bosworth, Sir Richard Edgcumbe was knighted on the battlefield by the victorious Henry Tudor. During the reign of Henry VII, Sir Richard became an influential character, carrying out several assignments for the King. His descendents were to continue this tradition of power and position. During the Civil War, Colonel Piers Edgcumbe, like so many members of the Cornish gentry, fought for the King. Colonel Edgcumbe commanded a regiment at Plymouth, but his home at Mount Edgcumbe came under attack in 1644 as Parliamentarian forces invaded. Despite being fortified, Maker Church, which housed the family crypt, was captured. After his garrison at Mount Edgcumbe was forced to surrender in 1645, Colonel Edgcumbe retreated to the family home at Cotehele. There he remained until his death in 1666, having witnessed the coronation of Charles II; an event at which his son was created Knight of the Bath. After the death of Colonel Edgcumbe, the family lived primarily at Mount Edgcumbe, with Cotehele becoming an infrequently-used second home. In 1742, another Richard Edgcumbe (this being a family name that was used regularly) became the first Baron Edgcumbe after a successful career as a politician and Chancellor of the Duchy of Lancaster. In 1781 and 1789, Richard’s second surviving son, Admiral George Edgcumbe, received the additional family titles of Viscount Mount Edgcumbe and Valletort and Earl of Mount Edgcumbe. In 1941, the realities of war were once again brought home to Mount Edgcumbe as the house was gutted by fire caused by enemy bombing; possibly a wayward strike meant for Plymouth. In 1944, concrete roads were laid on the estate so that tanks and jeeps could be transported for the D-Day landings. American troops embarked on their mission from Barn Pool on the Mount Edgcumbe estate. Sir Piers Edgcumbe’s 16th century deer park became a home to barrage balloons and an anti-aircraft battery. The fire-torn house remained ruined until 1958, when restoration was begun; work which was finally completed in 1964. In 1971, large amounts of the estate were jointly purchased by Plymouth City Council and Cornwall County Council, after which the grounds were opened as a Country Park and the house leased back to the family. In 1987, family occupation of the mansion ended, though the title Earl of Mount Edgcumbe still exists and is currently held by Robert Edgcumbe, the 8th Earl. Born at Cotehele to Piers and Elizabeth Edgcumbe, Richard grew to be a rebellious and controversial character. Despite serving as an MP for Tavistock in 1468, he struck out against the establishment and the Crown after rumours circulated that King Richard III had murdered the ‘Princes in the Tower,’ the two sons of Edward IV. Outlawed for his disloyalty, he escaped the King’s horsemen at Cothele and fled to Brittany, joining the forces of Henry Tudor. After Henry claimed the throne, Edgcumbe was knighted and lived prosperously. He died in Morlaix in Brittany in 1489. In 1758, Richard Edgcumbe succeeded his father, Baron Edgcumbe of Mount Edgcumbe, to become the 2nd Baron. Once Lord of the Admiralty, he was also known as a talented artist. Horace Walpole, an art historian and writer, described Richard Edgcumbe as ‘a man of fine parts, great knowledge and original wit […] who was calculated by nature to serve the public and to charm society.’ He was also, however, what Walpole termed ‘a man of pleasure,’ an incurable gambler who squandered his money. He never married and died childless in 1761, succeeded by his brother George. The son of George Edgcumbe, 1st Earl of Mount Edgcumbe, he pursued a career in local politics, becoming MP for Fowey and Lostwithiel. However, it is as a writer on the subject of music that he is now best known. In 1834, he wrote Musical Reminiscences of the Earl of Mount Edgcumbe. In 1789, he married Lady Sophia Hobart, daughter of the 2nd Earl of Buckinghamshire, with whom he had five children. When he died in September 1839, he was buried at his own request in Richmond, where he spend much of his time, rather than at Mount Edgcumbe. 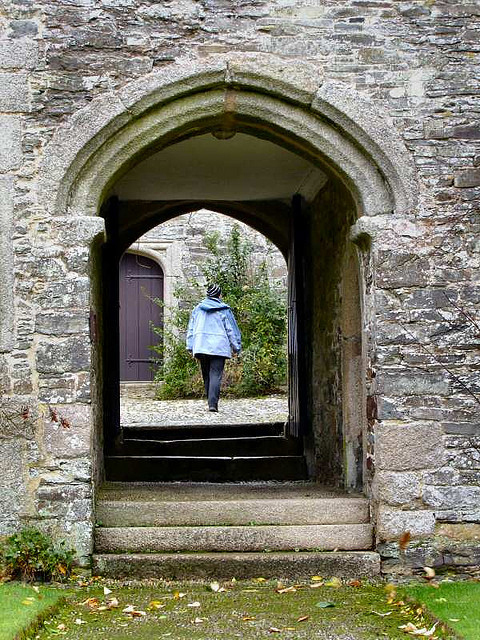 ‘The Great Families of Cornwall: the Edgcumbes’ is taken from our Dec/Jan 2011, Vol.2 Issue 9. Subscribe to myCornwall magazine for more stories like this one.